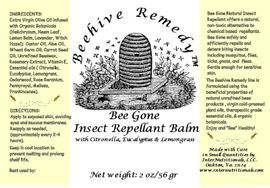 Bee Gone Insect Repellent Balm is formulated with virgin cold pressed olive oil infused with organic botanicals, nourishing plant & vegetable oils, and therapeutic grade essential oils with natural sunscreen and repellent qualities, combined in a base of unrefined beeswax. 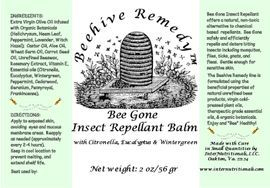 Our natural insect repellants protect against ticks, fleas, mosquitos, flies, gnats, and flying insects. Our balms are gentle enough for sensitive skin, and come in convenient twist up sticks in a 1/2 ounce travel and 2 ounce family size. 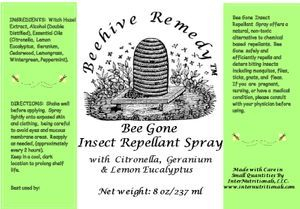 Bee Gone Insect Repellant Spray is formulated combining the safest and most effective therapeutic grade insect repellant essential oils in a base of witch hazel extract and double distilled alcohol. 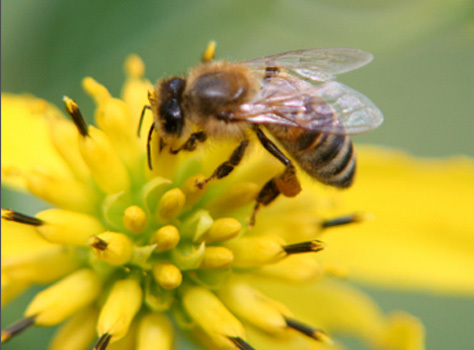 Our natural insect repellant spray protects against ticks, fleas, mosquitos, flies, gnats, and all other flying insects. 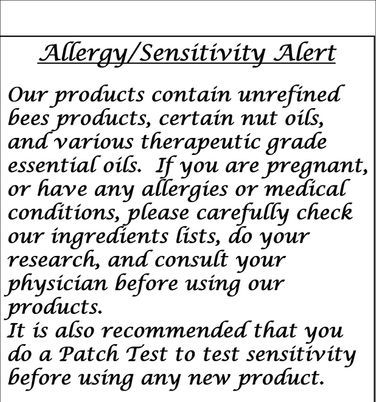 Spray on skin, hair or clothing, being careful to avoid eyes and mucous membranes.